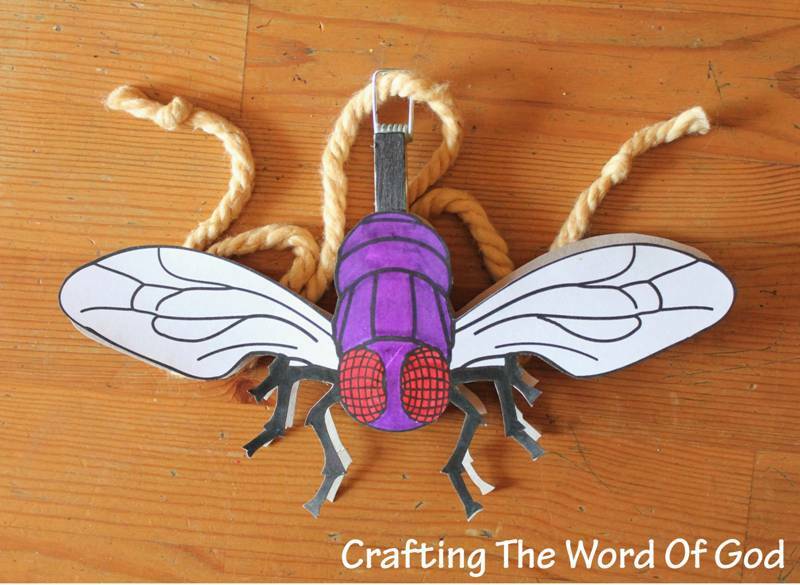 Todays crafts are based on the fourth plague on Egypt, the plague of flies. Cut out each piece and glue them onto a piece of construction paper. Cut out both pieces from the construction paper. Glue the rim of both pieces together and stopping at the bottom of the wings. DO NOT add glue to the center of the pieces. Cut a straw into two pieces. 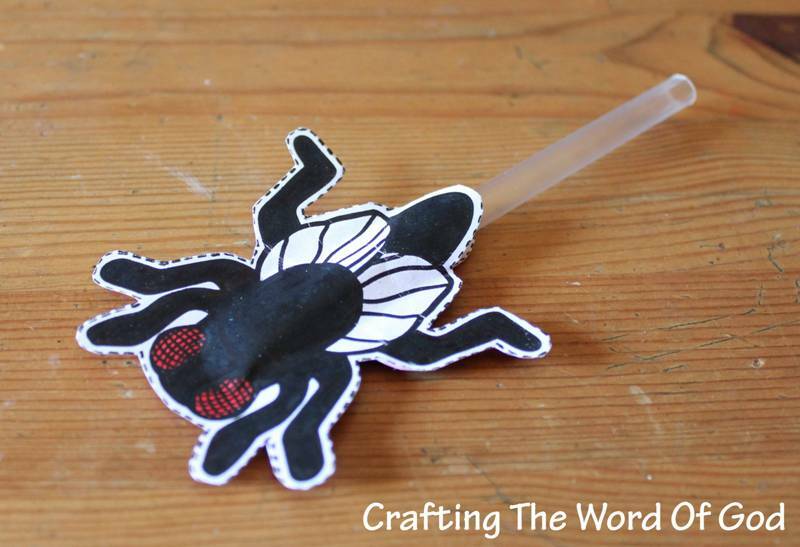 When the fly is dry stick the straw inside the fly and blow up the fly. The air pressure will propel the fly forward. Color and cut out both flies. Glue a the flies to the clothespin. One on each side. Cut a piece of yarn or string to your desired length. 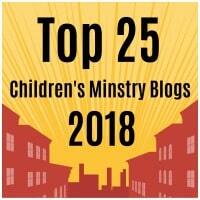 Stick the string in the metal bracket on the top of the clothespin. Hold one side of the string higher than the other and the fly will slide down the string. As it slides down the string it will sway side to side giving the illusion that it is flying. Add glue to the pieces except the eyes and wings. When the pepper pieces dry, cut out all of the pieces. Assemble the fly by first gluing on the eyes. Next both wings and finally the top body piece. 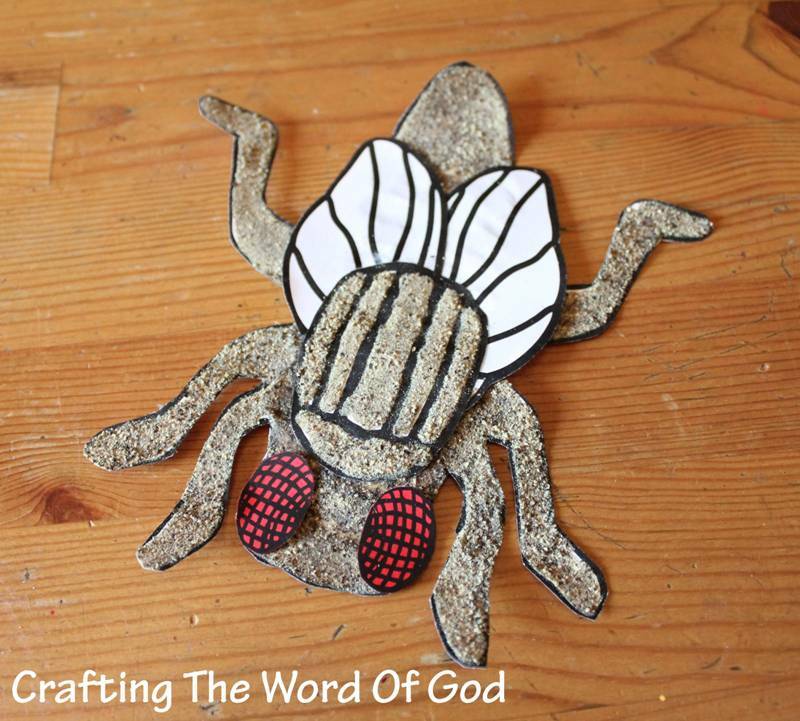 This entry was posted in Bible Crafts, Moses, OT Crafts and tagged 10 plagues, bible crafts, craft, crafts, Egypt, flies, fly, Moses, Pharaoh, plague, plague of flies, swarm, ten.